* @param string $recipient Recipient of the push. * @param mixed $type Type of the push notification. * @param mixed $arg1 Property of the push notification. * @param mixed $arg2 Property of the push notification. * @param mixed $arg3 Property of the push notification. * Send a request to a remote server using cURL. 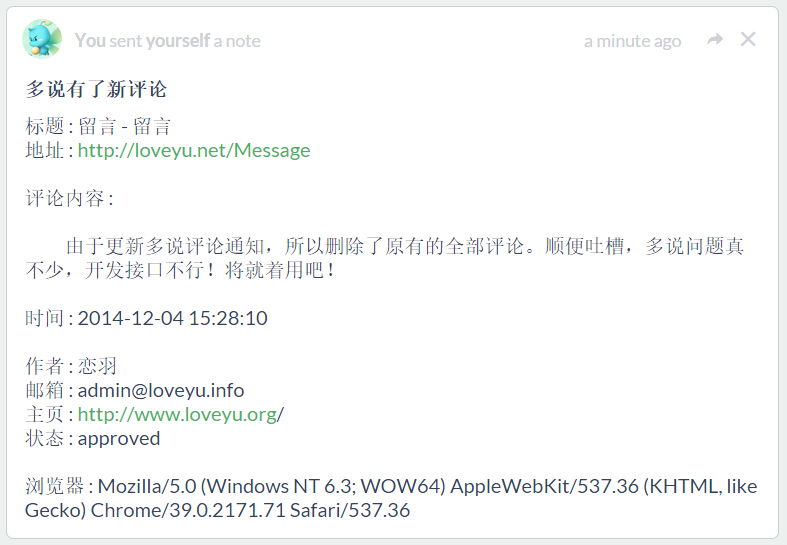 * @param string $url URL to send the request to. * @param string $method HTTP method. * @param array $data Query data. * @param bool $sendAsJSON Send the request as JSON.